New illustration done for the next issue of SciFi Now Magazine. The article talks about actor Daniel Radcliffe finally leaving behind his long-running role of Harry Potter, and moving on to new, exciting films and plays like How To Succeed in Business Without Really Trying, and Equus, of course. 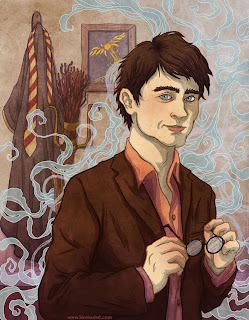 This was a really fun job, I'm a huge Daniel Radcliffe fan!